Our Muay Thai Boxing Gym in Norwich provides a safe, friendly & fun environment to train & learn Thai Kickboxing & K1 style, the right way. The original and still only true Muay Thai gym in the area, an elite gym in Norwich for fighters, fitness and more, Iceni Warriors provides a safe, professional & friendly space to train & learn Muay Thai, MMA and BJJ. Iceni Warriors has been at the forefront of combat sports in Norwich for several years. Whilst many fighters still train with us, several have traveled the country to fight out of other prestigious UK gyms, and many to the motherland itself; Thailand. The gym is stocked with all the right equipment & all the tools required to learn, train & excel in Muay Thai. Our tutors & coaches consist of active & non-active fighters with several years experience. We have trained with and learned from some of the top trainers in the world, including one of the top coaches from the prestigious Fairtex Muay Thai camp in Pattaya, Thailand. If you want to get in shape, gain confidence, or even become a Nak Muay; Muay Thai fighter, then we can give you the opportunity to unlock your true potential. The origins of Muay Thai or Thai Boxing go back hundreds, some say thousands of years. Archives can trace it back to Thailand’s military, who developed a martial art which utilised their hands, legs, elbows and knees, in order to defend themselves against invaders from its borders. This devastating form – which became known as Muay Thai or ‘the science of eight limbs’- became successful all over the nation, and was even embraced by the King. 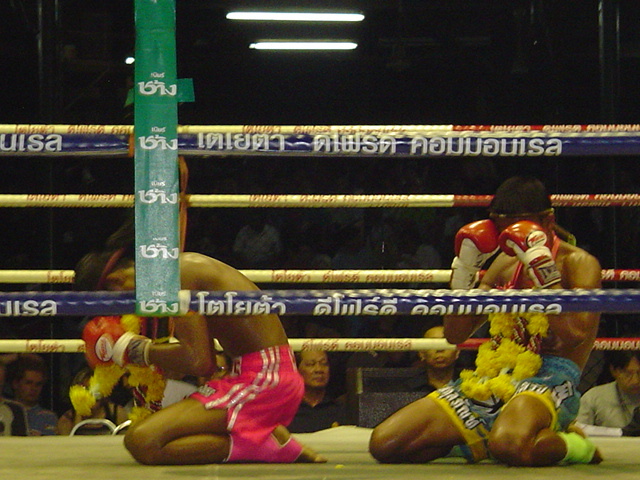 After a while Muay Thai left the battlefield and became a favourite as a sport amongst young men all over Thailand. Muay Thai is practiced all over the world, but is most popular in western Europe, Australia, the U.S and Canada. Muay Thai is extremely popular in The Netherlands, with legends and champions such as Ramon Dekker (R.I.P), Peter Aerts, Ernesto Hoost, Remy Bonjasky and Badr Hari to boast in their hall of fame. A lot of westerners tend to move towards mainly K1, Glory, Grand Prix style competitions now, due to the much more favourable cash incentives on offer.